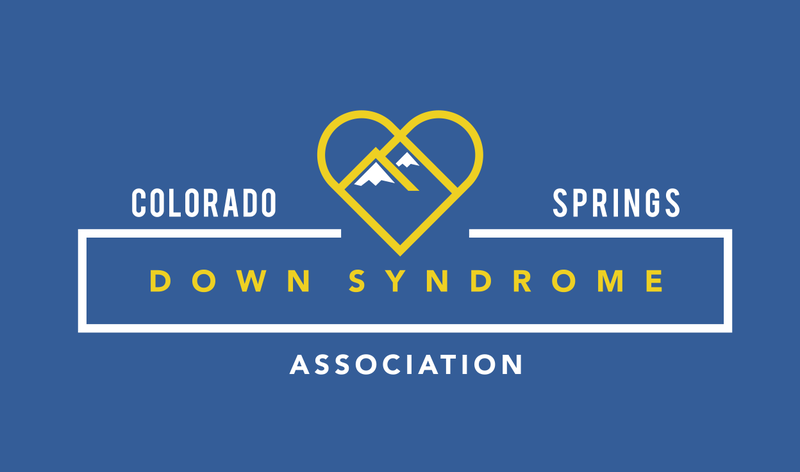 The Colorado Springs Down Syndrome Association has established a scholarship fund to assist members in providing needed services for family members with Down syndrome. Although the scholarship budget is limited and does not allow CSDSA to provide full funding in any one category, the goal is to provide funding for as many families as possible. Scholarship Applications must be completed using this online form: Scholarship Fund Application. Up to $500 per family per individual with Down syndrome per year is available for assistance with educational items that benefit individuals with Down syndrome, such as seminars, conferences, and educational software, including apps. Special guidelines regarding education scholarships: Scholarship applications for educational items must include detailed information on the item(s) to be purchased or the conference or seminar to be attended. Payment for a conference or seminar will be made in the name of the sponsor and forwarded to the applicant, at which point the applicant will be responsible for sending in the money and registration. If the conference/seminar is canceled or the proceeds are otherwise refunded, the proceeds must be returned to CSDSA. Note that school tuition (including pre-school tuition) is not normally eligible for scholarship funding, except in the case of special circumstances, and will be considered by the Scholarship Committee on a case-by-case basis. Guidelines for Technology Hardware Grants: CSDSA provides funding for the purchase of computer hardware, including iPads and laptops, for individuals with Down syndrome. Technology grants are limited to one per individual with Down syndrome and one approved grant every five years. Applicants for CSDSA Technology Hardware Grants must have been CSDSA members for at least one year. Up to $700 per family per individual with Down syndrome per year is available for assistance with medical services and equipment for individuals with Down syndrome, such as medical treatment (i.e. MD, DO, DDS), therapy, private/home care (not respite), specialty foods, and medical equipment. Special guidelines regarding medical scholarships: Funding is not available for the payment of insurance premiums. Upon request, documentation must be submitted to the Scholarship Committee explaining the type of treatment, care, or equipment being requested, and how it will benefit the individual with Down syndrome. Applicants may be requested to provide information to ascertain the type of insurance carried, type of payment required by the applicant, and whether the applicant is receiving funding from other sources. Music therapy is funded under the medical category, as are specialty foods such as gluten-free dietary items. Up to $500 per family per individual with Down syndrome per year is available for assistance with recreational services and equipment for individuals with Down syndrome, such as camps, athletic activities, swimming lessons, and recreational equipment. Items not traditionally covered by CSDSA scholarship funds – The following items are not traditionally eligible for CSDSA scholarship funding: 1) general school supplies, 2) school tuition (unless justified by special circumstances), 3) trampolines, 4) home repairs, improvements or modifications, 5) fencing, 6) payment of insurance premiums, and 7) items that are considered for use by the entire family. Questions regarding eligibility should be forwarded to the CSDSA Scholarship Committee. Scholarship Application Process – To qualify for scholarship funding, an applicant must be a current member of CSDSA and reside in southern Colorado. In order to make sure there is enough scholarship funds for all families that wish to use them during the year and to minimize the administrative burden, only one application may be submitted per quarter per family per individual with Down syndrome, and only one application per year may be submitted in each major scholarship category (medical, recreation, education). For this reason, families should request up to the category limit if they expect to spend the full amount during the year. For all scholarship types, upon request documentation would need to be submitted to the scholarship committee providing information on the item to be purchased or the activity to be funded. Additionally, an explanation should be provided as to how the proposed funding would assist or benefit the applicant with Down syndrome. All scholarship applications are reviewed by the CSDSA Scholarship Committee at the beginning of each month (applications must be submitted by the 25th of the month to be considered for the next month), and applicants will be notified after applications have been reviewed. Funding will be available on a first come first served basis, and is limited by the CSDSA budget. Once the scholarship budget has been exhausted, no additional funding will be available until the following year, contingent on available funding. Priority will be given to those applicants who have not applied and received funding earlier in the year. Consideration will also be given to whether an applicant is receiving funding from other sources for the particular request. No prepayment of funds will be allowed. Payment will be in the form of either reimbursement with proof of payment being submitted to the Scholarship Committee, or proceeds being forwarded directly to the provider of the item or service being purchased. All receipts for scholarships approved in the first three quarters must be submitted by October 1 for payment. In situations where funding is requested in the same category for more than one individual with Down syndrome in the same family, receipts must identify which individual the expenses are for, the purpose, and the payee. CSDSA is excited to provide scholarships for its members, however, scholarship funding is not guaranteed from year to year. Scholarship funding is limited by the CSDSA budget and may be restricted by the CSDSA Board of Directors at any time. Scholarship funding is intended to assist families in meeting the needs of individual family members with Down syndrome. We realize we cannot meet all of the funding the needs of our members, but we hope we can at least make a difference. CSDSA appreciates member input on the scholarship program and any recommendations concerning how it could better serve its members. If you have any questions, please call the phone line at 633-1133 and a committee member will get back to you as soon as possible. Please email (info@csdsa.org) or call CSDSA (719-633-1133) if you need a hard copy of the form mailed to you. The CSDSA annual budget may have a line item for “Other/Emergency Scholarships,” based on the organization’s financial status. This line item is intended to provide one-time scholarships for member families with emergency situations where other sources of assistance are not available. This line item is NOT intended to provide general financial support for members who are unable to pay their monthly bills due to job loss or other financial condition not caused by a true emergency. Emergency situations are true emergencies such as fire, flood, or other natural disasters; unexpected loss of a parent; or other non-recurring emergency situation. In such cases, the CSDSA Board of Directors will determine the amount and timing of such scholarship (not to exceed $1,000). Scholarship funding is not guaranteed from year to year. Scholarship funding is limited by the CSDSA budget and may be restricted by the CSDSA Board of Directors at any time. COLLEGE SCHOLARSHIP AVAILABLE FOR SELF-ADVOCATES! CSDSA is proud to offer a new scholarship for CSDSA self-advocate members who are interested in attending or are already attending a university or community college. Self-advocates can request up to $1000 per school year. Please use this form (https://goo.gl/forms/hhvtySr47MMOfo542) to apply for the self-advocate scholarship.